Riot reportedly had issues in negotiations with North and Movistar. 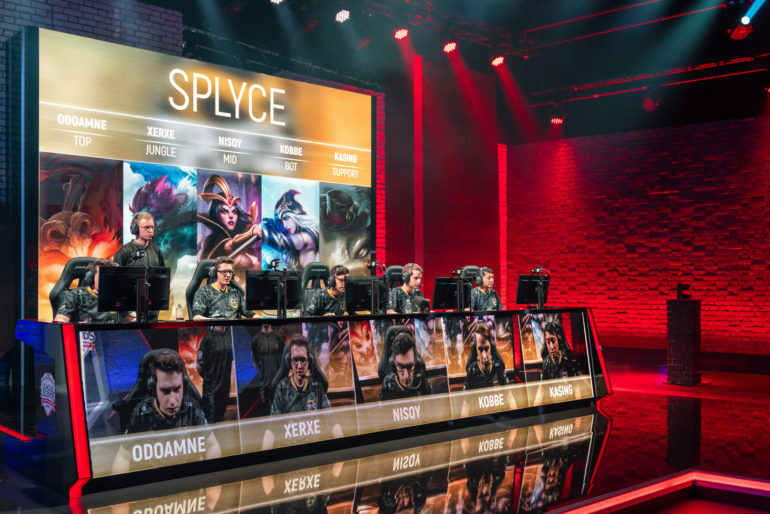 In a dramatic last-minute change, Splyce and exceL have been accepted into to the European LCS, replacing Movistar Riders and North, according to an ESPN report. Several months ago, when the initial franchising rumors dropped, Splyce was one of the first endemic franchises reported out. But according to a report from ESPN’s Jacob Wolf, Riot experienced difficulties in negotiating with some of the new franchises. That breakdown in talks with Movistar and North led to Riot reaching out to Splyce and exceL, apparently some of its first alternates in the franchise selection process. Splyce has competed in the EU LCS since 2016. That year, the team made Worlds for the first time, and Splyce has fielded one of the better EU teams since then with regular playoff appearances. But when the franchising process neared an end, it looked like Riot had rejected several endemic applications in favor of bids from franchises in other esports, namely CS:GO, in which both Movistar and North compete. North and Movistar were reported to be some of the final teams joining the EU LCS on Nov. 3, along with SK Gaming and Rogue. Another team application reportedly accepted into the league was submitted by RFRSH, the parent company of Astralis. And while it was previously uncertain if Astralis, which solely competes in CS:GO, would be represented in the EU LCS, that uncertainty has diseappeared. ESPN also reported on Monday that RFRSH acquired Origen, whose name and brand will be used in the EU LCS instead of Astralis’. Origen most notably competed in the EU LCS from 2015 to 2017, when they failed to qualify for the Summer Split. It is not known at this time which aspects of franchising were up for negotiation or if Riot has had difficulty with any other teams. Either way, this is a black mark on Riot’s process that has already delayed the franchising announcement, which was expected on Nov. 8.